husband and wife wedding photographers in the SF Bay Area. We are passionate about authentic moments and developing a great connection with each couple. 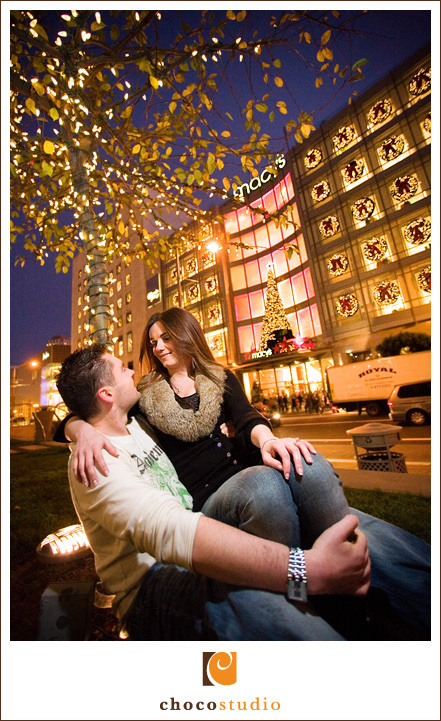 We recently shot an exciting engagement photo session right on and around Union Square in San Francisco. 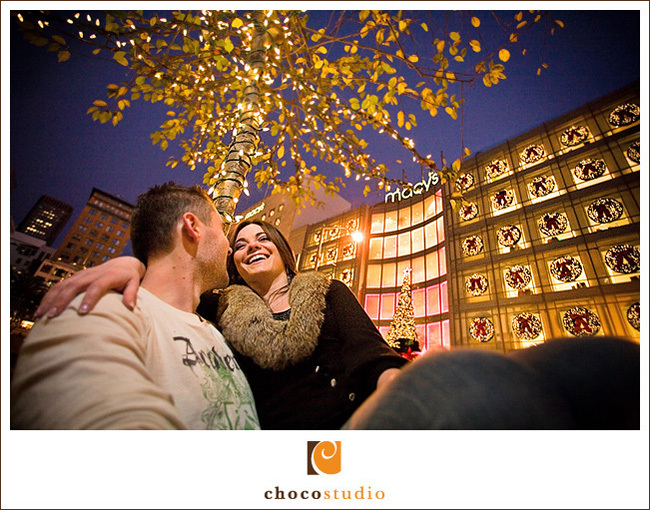 This area of the city is incredibly festive during this time of year and we had a fantastic time with Natalya and Rob. It’s a great feeling to be posting our first photo session under the new company name on the new blog. If you haven’t yet, sign up for an email subscription to our blog on the right sidebar. It’s the only way you can make sure not to miss any of our upcoming news and photo shoots. Natalya and Rob’s wedding is set for August 2008 and we know it’ll be just an amazing day! Thanks for picking such a great location for your shoot, we had a really fun time with you. It is great to be young, beautiful and in love. You guys are soooooo cool! 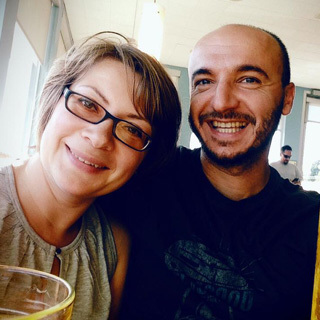 Love and Happiness! Wish you to be as happy as in this picture all your life. Glad to have a chance to see you and enjoy our wedding. 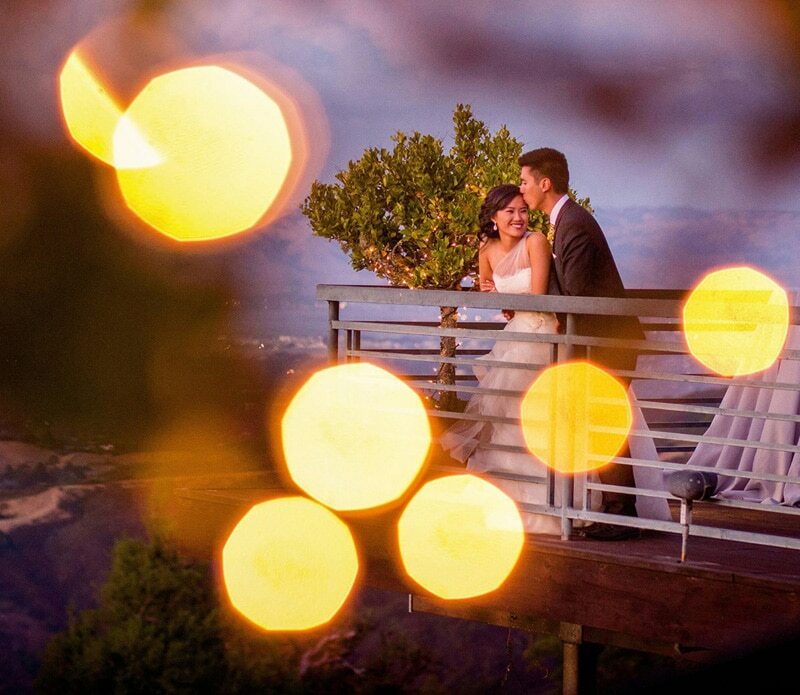 Mike and Nat are a husband and wife photography team based in San Francisco Bay Area. 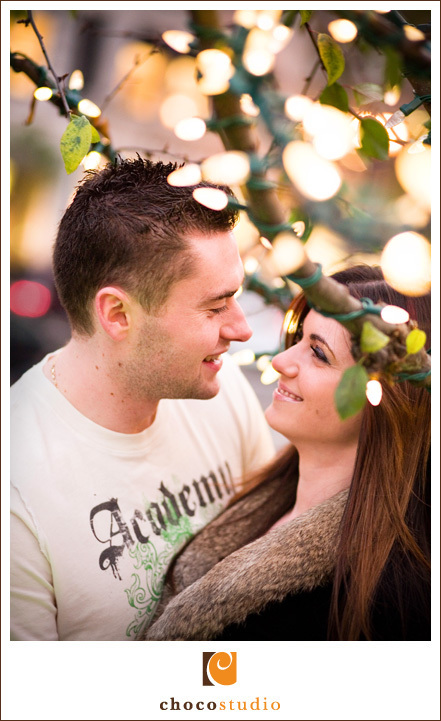 Their relaxed style allows them to capture authentic moments while creating a stress-free experience. 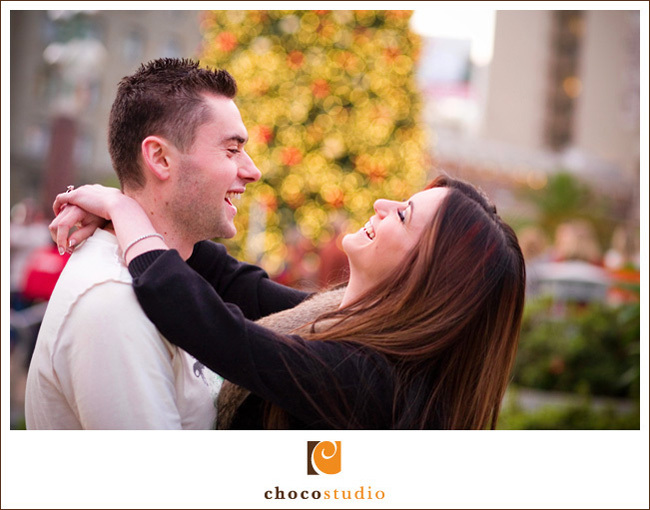 Choco Studio photographs weddings throughout the San Francisco Bay Area including Napa, Sonoma, Carmel, and Monterey. Address : 627 Lisbon St., San Francisco, Ca - 94112 USA.